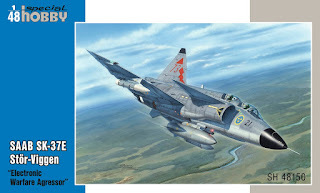 The new re-boxing of the 1/48 Viggen kit is to receive one more sprue with quite a couple of new parts. The content of this sprue is here for you to inspect in the images below. 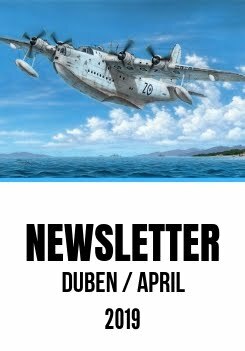 There are a pair of new forewings with flaps that can be portrayed in their down position, the ram air turbine and some more allowing the modeller to make a correct replica of the SK-37 version. All these new sprue parts will accompany our next reboxings of the Viggen too. By the way, will you be able to spot one almost fatal issue in this new sprue? Our production manager, having noticed it himself, almost passed out and fell off his chair.